Bartrop, Paul and Lakin, Samantha. 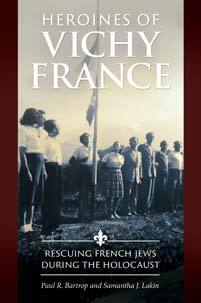 Heroines of Vichy France: Rescuing French Jews during the Holocaust. Praeger, 2019. ABC-CLIO, publisher.abc-clio.com/9781440852336.